So, I haven't shaken the funk of having to cancel the fair. I was really excited. After having the past few days off for myself to recover from stress though, I realized it was for the best. 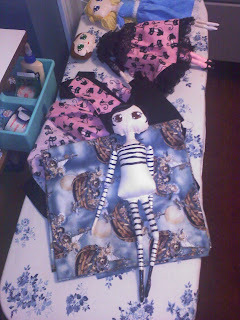 So, here are pictures of what I have on the cutting table currently. I'm very excited for most of these ladies. This is Kitty. She was an experiment in an all cloth doll. I'm not 100% happy with her outcome. 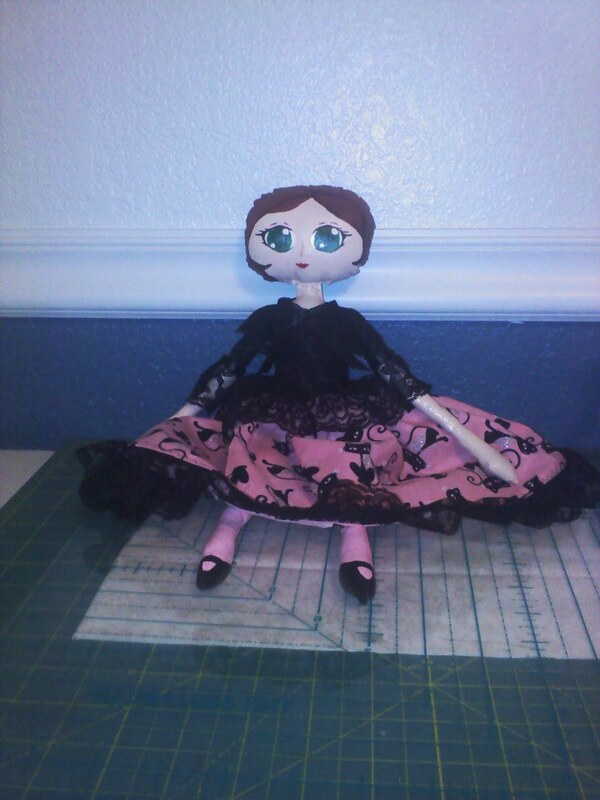 I love her outfit though so I'm tempted to try again with her with the way I currently make my dolls. I realized after I uploaded this it was fuzzy. 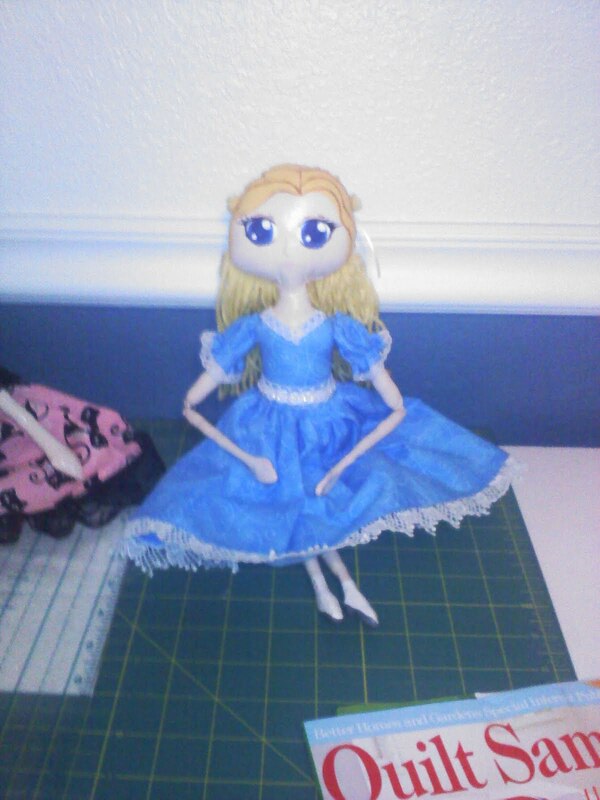 This is another Alice. 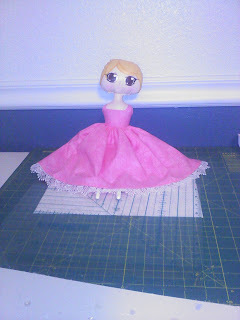 When I had created her, I saw something totally different. 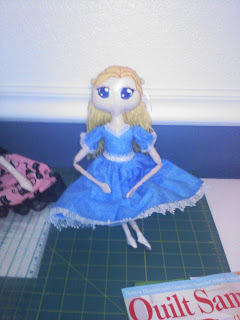 When she was almost done I realized I had made another Alice. I'm very fond of her and her little hair bow in back. 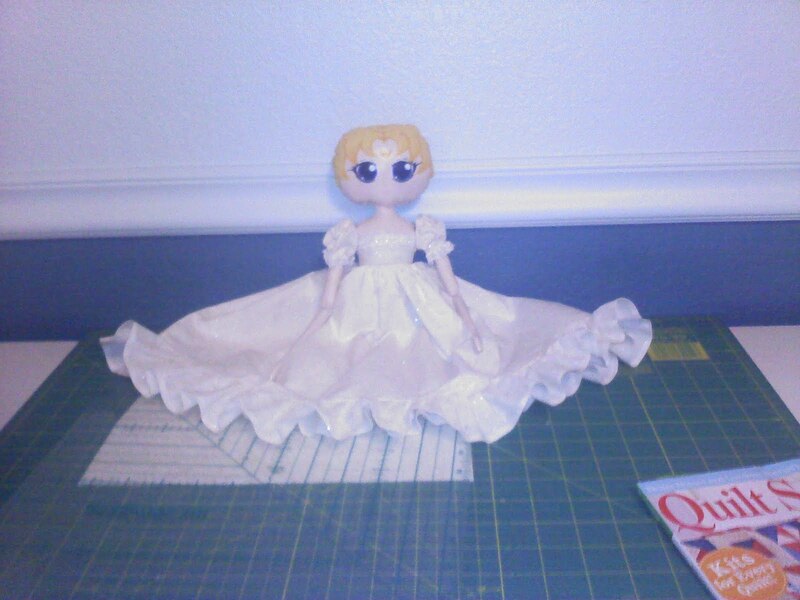 This is a sister to Alice above. You can't tell in the photo, but there dress fabric and painted shoes match. She will get piggy tails because I've seen her as a younger sister. I haven't come up with a name for her yet, but she seems like a little Susie or Lucy. This is Dreams. She's not as far along as the other girls. Mostly because her stripes took forever and I was working to late one night and got confused. I can't wait to get her little jumper done.